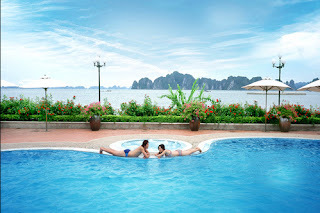 Honeymoon Halong Bay Vietnam Private Cruises - Halong Bay Vietnam located in the north-east region of Vietnam, Halong Bay Vietnam is a part of the Gulf of Tonkin, and comprises Halong City, the Cam Pha township and a part of the island area of Van Don. 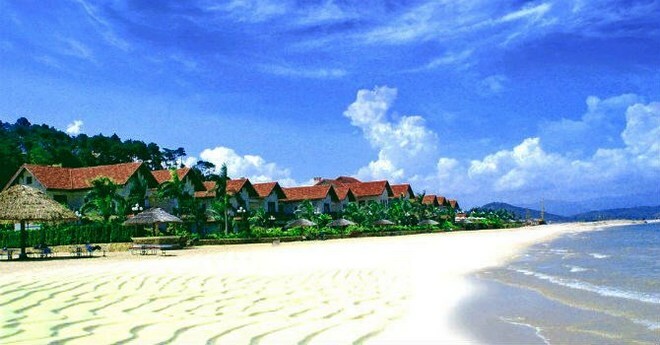 To the south-west it borders the island of Cat Ba island, to the east is the sea and the mainland follow a coastline of 120 km. Halong Bay Vietnam offers Day cruises and a honeymoon cruises package in private and exclusive class, and also overnight cruises for couples, family or group of friends. A special relaxing night on the majestic bay, get out of the crowd and deep into natural wonder. Bai Tu Long is still an uncharted bay in Halong, offering a chance to get “off the beaten track” (less travelers and boats), please visit to the fishing villages, and discover the secrets of undersea. 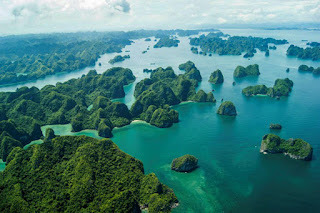 Halong, one of the World Heritages, includes all big and small islands. Each one has its own characteristic with some caves: Sung Sot Cave,Thien Cung Cave and Trinh Nu Cave. Tuan Chau Island is the only soil island of all. It is not only a place having beautiful natural surroundings: pine trees, lakes and beautiful beach, but also where President Ho Chi Minh chose to be the relax place of other State officials' and his when they came here in 1959. On the total area of 400 ha, Tuan Chau has the population of 1500. As planned, the total area of Tuan Chau will be widen to 675 ha. It enjoys the advantage of having both road and river transportations. It is about 18 km away from National Highway No.1. This route is an important blood vessel of the robust Hanoi – Hai Phong – Quang Ninh economic triangle. 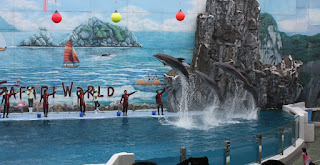 It takes about 3 hours from Mong Cai ( 2 hours by boat) and 1 hour from Hai Phong. Tuan Chau island’s name is the combination between ‘linh tuan’ (the patrolman) and ‘tri chau’ (district chief) because in the feudal time, the royal army set up a guard station here to patrol and defend the borderland. Before 1999, the island's residents suffered from a very modest living standard. There was no power network and no clean water. Roads were only trails and there was no mechanical means of transportation. Tuan Chau was a very poor city where fishing with very rudimentary tools is the only means of living. an (artificial) beach with 4 km long. a water recreation park with activities such as motor racing, canoeing, parachuting, water skiing, etc. Halong Bay sight- seeing services by canoe, boat, helicopter. a high tech water fountain with music playing, laser lighting and film projecting on water screens. 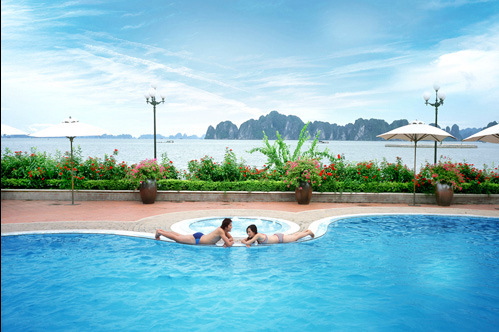 Bai Tu Long Bay is an off-the-beaten-track honeymoon destination recently in high demand. It is one of the three triangular peaks of the World Natural Heritage. Bai Tu Long Bay is different with the other World Natural Heritages. 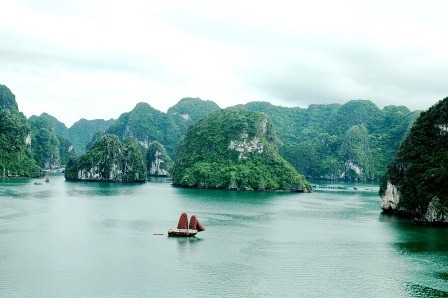 In some ways it is actually more beautiful than Halong Bay, since it is only in its initial stages as a destination for tourists. 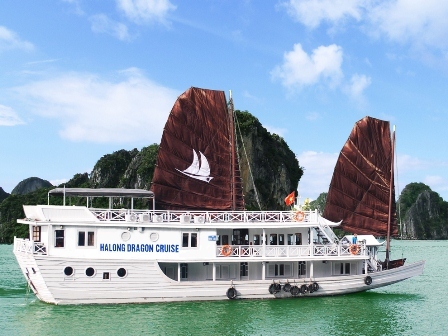 In Halong Bay over four hundred boats bring thousands of travellers everyday so hundreds of tourists converge on the same place at the same time. 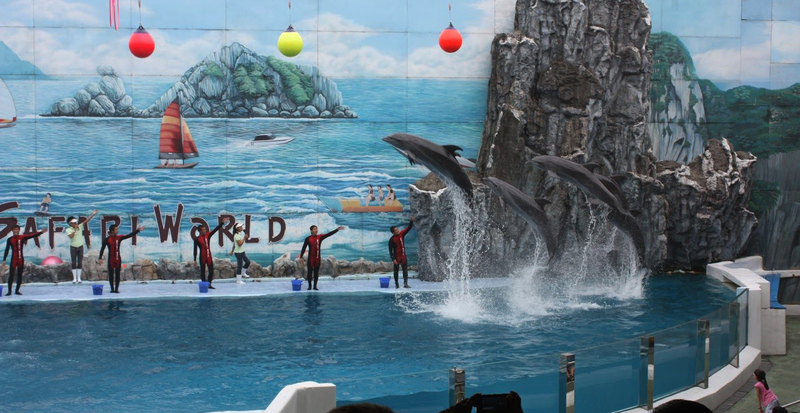 Bai Tu Long has many attractions to visit: Da Xep Park, Ang Cong Dam, Thien Canh Son Cave, Quan Lan Island, and Vung Vieng fishing village and Tra Gioi beach. In there, you will find an outdoor museum where more than 340 millions years. There are also some populated islands; Quan Lan, Ngoc Vung, Cong Dong, and Cong Tay with many beautiful beaches. In addition, Bai Tu Long Bay National Park is rich in biological diversity, home to many different flora and fauna. At Sung Sot Cave you are likely to encounter 6 or 7 other groups of tourists in the chamber making it difficult to hear your tour guide’s talk about the geological value of the cave and how it was formed. Contrastingly Bai Tu Long Bay will charm you with its wild beauty with stone mountains, caves, long sandy beach, corals, forests, mangrove forests and lovely fishing village – and few tourists. 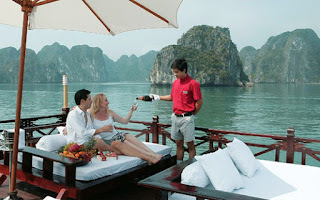 0 Response to "Honeymoon Cruise in Halong Bay Vietnam"